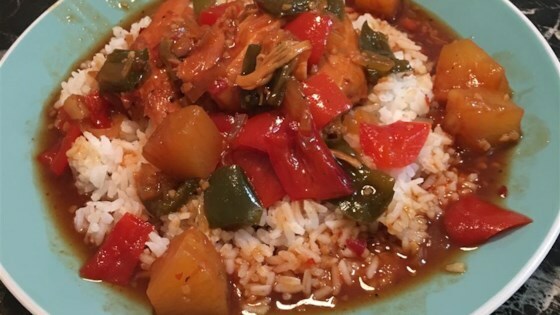 "This sweet and sour chicken recipe is fast, easy, and good for the whole family! Serve over rice!" This can also be cooked on Low for 8 hours instead of on High. This was OK. I didn't have chili sauce so I didn't put it in. I would think that by using a BBQ sauce that you liked you could make it as sweet or as spicy as you want. Waaaaaay too sweet. Overwhelmingly so. Very tasty- however it was a bit too sweet. My husband thought it was somewhat watery. Will try again! Too much of a barbecue taste for me. I was looking for something a little more sweet & sour not tangy bbq.